iHeartMedia announced the return of the iHeartCountry Festival on Saturday, May 4. For the sixth straight year, Country music's biggest superstars will perform at the Frank Erwin Center in Austin, Texas in a live celebration of all things Country. Tickets on sale NOW at TexasBoxOffice.com! The 41-city tour, produced by Live Nation, will kick off on September 25 in Cincinnati, OH and make stops in major cities across the U.S. and Canada with a stop at the Frank Erwin Center on Nov. 1 before wrapping in Vancouver, BC on December 6. 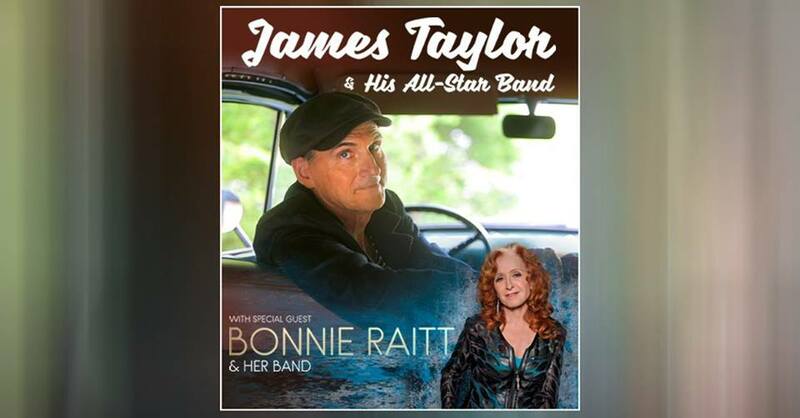 Legendary singer/songwriter James Taylor and his All-Star Band with special guest Rock and Roll Hall of Famer Bonnie Raitt and her band are coming to the Frank Erwin Center on Feb. 13 for one intimate and memorable night! As a recording and touring artist, James Taylor has touched people with his warm baritone voice and distinctive style of guitar-playing for more than 40 years, while setting a precedent to which countless young musicians have aspired. Inducted into both the Rock and Roll Hall of Fame and the Songwriters Hall of Fame, the world-renowned artist has sold more than 100 million albums since he was first signed by The Beatles to their Apple Records label, won multiple Grammy Awards and has earned 40 gold, platinum, or multi-platinum awards. More than just a best-selling artist, respected guitarist, expressive singer, and accomplished songwriter, Bonnie Raitt has become an institution in American music. The ten-time Grammy winner was inducted into the Rock and Roll Hall of Fame in 2000 and the Grammy Hall of Fame in 2015.